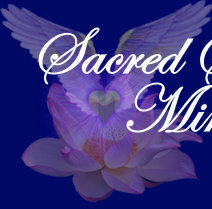 Scheduled Retreats - 2007 Retreats, seminars and conferences sponsored by Sacred Spirit Ministry. With slide shows of past retreats. If you never searched for truth . . . If you were never a musician . . . If you’ve lost your spirit . . . In our gathering one candle lights hundreds. and join in our joyous laughter. Your eyes will open to the secret of Truth. SACRED...entitled to veneration or respect by association with Divinity. Regarded with Reverence. SPIRIT...the principle of Conscious Life that is the essence of All. The animating principle that pervades and tempers thoughts, feelings and actions. RETREAT….A place of refuge, seclusion and privacy. To withdraw to such a place for restoration, renewal and rebirth.